This post is sponsored by Million Dollar Tan, Tweexy, ToGoSpa and Giraffe Bath & Body Razor. It is hard to feel good about yourself when you don’t look your best. Plus, that’s not to mention when you have a date with someone for the first time and you’re feeling down about how you look. There are so many things to check off the list to look great for that first impression, and it can seem overwhelming. You want your skin to be glowing and smooth and the little things to be noticeable. For your next date night, try using these products to make you feel confident and beautiful while meeting your date for the first time! Million Dollar Tan, Tweexy, ToGoSpa and the Giraffe Bath & Body razor are your go-to products for looking and feeling your best when the time for a first date rolls around! Million Dollar Tan has the perfect products to maintain your glow post-summer. Before you can have the perfect tan, though, you should exfoliate your skin with the company’s Tingly Peppermint Body Scrub for only $12! Summer Sun Sunless Tan is very light and airy, and, after your scrub, it will give you an even all over tan that is odorless and is designed to last longer. For $42, you can start your transformation! 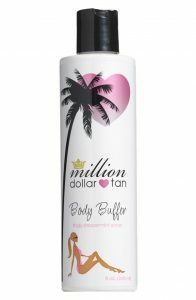 To maintain your tan and keep your skin moisturized as your date approaches, Million Dollar Tan’s Sheer Tan Glam is a tinted moisturizer that provides instant glow while fighting aging! Sheer Tan Glam can be used at all times of the day and can even be worn under your makeup on your date! The product costs $36 and is worth every penny. The total for all of the Million Dollar Tan products together is $90, which is much less expensive than your membership at a tanning salon and has lots more benefits! Use ToGoSpa’s at-home products the night before or the morning of your date to treat yourself to relaxation and unwind your pre-date jitters. 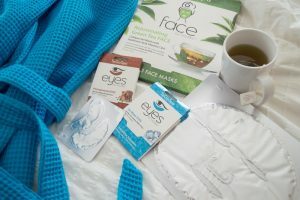 EYES by ToGoSpa is an under the eye mask designed to soothe, moisturize and de-puff your eyes. It comes in a 3-pack for $12.50, and you get the choice of four different eye treatments for what suits you best. FACE by ToGoSpa also comes in a 3-pack and is $35. FACE is a collagen gel face mask that helps dry skin, aging, evens your skin tone, improves elasticity and minimizes fine lines in one 30 minute treatment, and you get three! NECK is also a collagen gel mask in a three-pack for $25. If you are one of the millions of people in the world that is self-conscious about your neck, this is perfect for you. You never know if your date will end in a kiss on the neck! Use LIPS by ToGoSpa, a three-pack set for $12.50 that will re-moisturize, re-hydrate and plump thinning lips. For a total of $85, not only will you be tan and glowing, but you will feel relaxed and replenished! Now that you have exfoliated your skin and have an even glow, you want to wear something that shows this off. When wearing anything that shows off your legs, having a smooth shave can be tedious and annoying. With the Giraffe Razor Extension Handle, not only will it help you get ready faster for your date, but for every time you shave. This is a reusable razor that can be disposed of, too. The extension handle includes two universal razor attachments in small and large and has the capability to extend 15-20 inches. For $29.99, you will never have to worry about reaching those tough spots again! You are ready and glowing for your date, are smooth and feel more confident than ever and, yet, there still feels like something missing. If you are someone who always forgets to treat themselves and can never make it to the nail salon, this product is for you. The Tweexy makes polishing without messy spills seem like a breeze and gives you the ability to paint your nails everywhere. The colorful device slips onto your fingers like a ring and grips the polish securely to keep the bottle within easy reach to avoid spills for only $14.95! Now you can paint your nails before you date with no stress and no hassle. Don’t miss out on feeling and looking your best! Even if you don’t have a date, these products are the perfect way to treat yourself!